I think Enderton does a really nice job introducing logic to those who have never studied it before. Although not always the easiest to follow Enderton lays out all the necessary topics in a nice organised fashion so it’s fairly simple to follow everything. I found his explanation of the pumping lemma to be lacking which made it difficult to follow, but his proof of the compactness theorem more than makes up for it. He does a good introduction of not only proposition and predicate logic, but also goes into second-order logic as well and tackles it the same way as his previous material so it’s easy to follow it all. 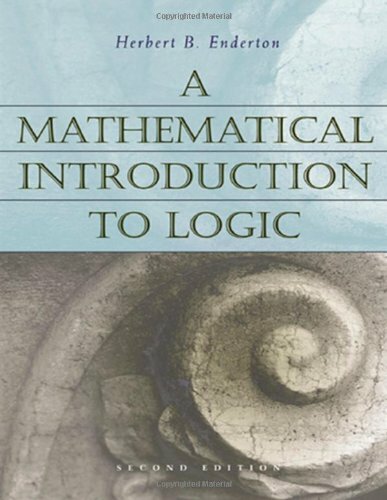 Although this wasn’t my favourite logic book, it is a nice book to peruse.